Pirates have played an important role in the history of Roatan. Since the early days of the Spanish conquest of Latin America, buccaneers have used the island has a hide-out for the purpose of raiding gold and other treasures that were being loaded on the ships and passing through the Bay Islands of Honduras on the route to Spain. In the late 1600’s, Henry Morgan hid out in Port Royal along with John Coxen (in which the city of Coxen Hole is named after) and Dutchman Van Home with several ships and untold amounts of booty. As many as 5,000 pirates were believed to have settled in Roatan as a safe harbor reunion at one time. As the celebration of the pirates’ reunion died down, they set about finding new spots to clean ships, sailing to Utila. 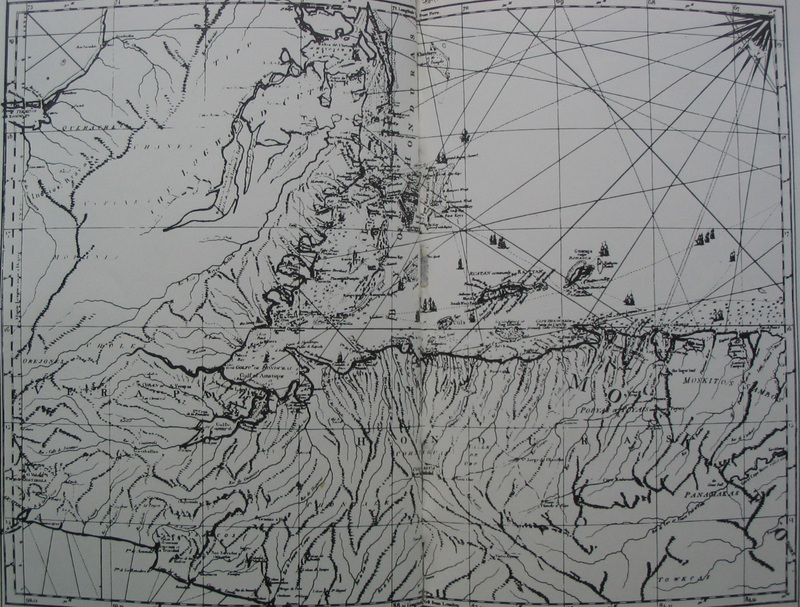 But of course, pirates were not going to publicly record where they sailed or buried their treasure, so much of this is left to speculation. Roatan’s most famous pirate is Henry Morgan, who interestingly enough, was a legally plundering! Henry Morgan had a commission from Lord Windsor that authorized him to attack the ships and villages of nations at war with England, and he was obligated under his commission to turn over a percentage of his spoils to the government. 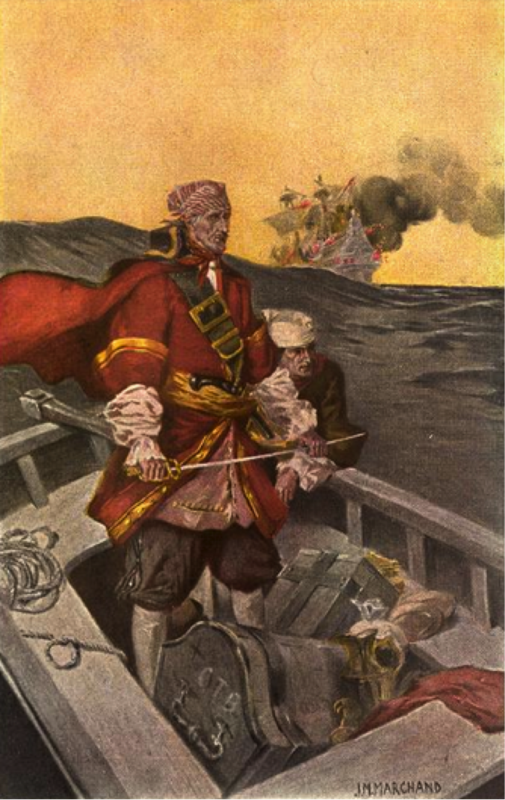 Morgan was a pilot and a legal pirate – he had a home to go home too and was authorized to steal and plunder so long as he provided money back to his home country. The pirate reign ended in 1650, when Spain, under the command of Francisco Villanueva Toledo, attacked Port Royal with four warships and forced the pirates to flee. Countless tales of buried treasure hidden in the sea caves of Santa Helena and the eastern reaches of Roatan still remain. Some claim that lost artifacts such as the chain of Huayna Capac, taken from the Inca ruler by the Spanish, and a golden life-size virgin crated by priests in Panama that was loaded on a ship in Colon never made it to Europe, are still hidden somewhere in Roatan. Archaeologist Mitchell-Hedges, famous for his crystal skull, lived on the island for almost a decade in the 1920’s and 1930’s, and did considerable exploring on the eastern end. He was one of the first adventures to explore Old Port Royal, and legend has it he even found several chests filled with gold and silver, which he snuck of the island and sold in England, but never reported. However, this leads us to a good question as to why a pirate would bury treasure in the first place? The obvious explanation would be the only time buried treasure could be found was either when pirates physically could not carry it all (making Roatan probable) or had to hide it because they could not spend it without suspicion. If you stole gold coins marked with a French emblem, I highly doubt that you could waltz into France and spend it without drawing an awful amount of attention to yourself. The key would be to trade treasure for treasure or take it back to your country of origin and perform a legal currency exchange. Without these two options, pirates were left with treasure that they could not legally distribute for trade. This would make the option of burying treasure a suitable solution; find an investor or a willing participant to help you make the exchange and go back and collect the prize. This is somewhat what William the Kidd attempted to do to ensure that he did not get murdered as he was the only key back to the treasure. What Do You Do if You Actually Find Treasure in Roatan or Utila? Yes, there is the logical, practical side of you speaking now. You have done the impossible and found the bounty, but now, how do you actually get paid on this amazing discovery? If your a local and find gold coins, I highly doubt you want to start distributing gold coins to vendors – they aren’t going to be able to break the change and in the first transaction, someone is going to get suspicious. And what if you are a tourist? I highly find it wise to sit there and attempt to go through customs with suitcases of gold coins. Ha ha, yea right. No, seriously think about it. If you find the treasure in the water, maritime law states that you have to report it. But what happens then? In the United States, all different state laws apply but generally, you should report the property to the sheriff’s office and if it goes unclaimed, then its yours. Naturally, most Americans would consult legal advice to get a representative on their side of the transaction. However, there goes a small chunk of the prize to the lawyer. In the US, you very well may have to pay half of the treasure to the owner of the land in which you found it. But important items – those declared to be “treasure” – have to be handed over to the state, in which case the committee that takes charge has discretion over the size of the reward given to the finder and landowner. “Assuming that what you have found is treasure, as defined by the Treasure Act 1996, the Treasure Valuation Committee will value the find and an ex-gratia payment will be made as a reward,” said Trevor Austin, a member of the committee and general secretary of the National Council for Metal Detecting. As a US citizen, if you find treasure, as much as 50% of it could go to to Uncle Sam so pray you can sell it. If not, you are still going owe the tax because the treasure trove rule is based on fair market value on the date that the property is undisputedly yours. Therefore, for tax purposes, finding treasure can be costly, especially if you can’t find a buyer. Don’t believe me? Ask John and Mary, the North Carolina Couple who found $10 million worth of gold coins when walking their dog. Thankfully, for them, however, they found the coins in their country of origin and got to keep some of it! It is a fact that near Old Port Royal Mitchell Hedges discovered four chests filled to the brim with gold bullion, which were reaped from the Spanish by the pirates of Roatan. As the story goes, Mitchell Hedges’ friend, known as Doctor Ball, was walking around one of the nearby keys near old Port Royal with a compass in hand. Suddenly the compass started going mad, with the needle spinning around in all different directions. He told him about the compass’s behaviour and the two of them decided that the only thing that would make the compass behave in such a way was a large amount of metal buried under the surface of the key. The two men wasted no time and started digging and found four chests full of gold treasure. They placed the chests back in the ground for later recovery and searched the rest of the island with the compass. They found nothing. Someone, however, rumored that the police in Coxen Hole had been tipped off to the discovery of the treasure. Wasting no time, the three explorers recovered three of the four chests that night and loaded them onto the Amigo and quickly set sail across swelling seas to the town of Belize which was then the capital of British Honduras. 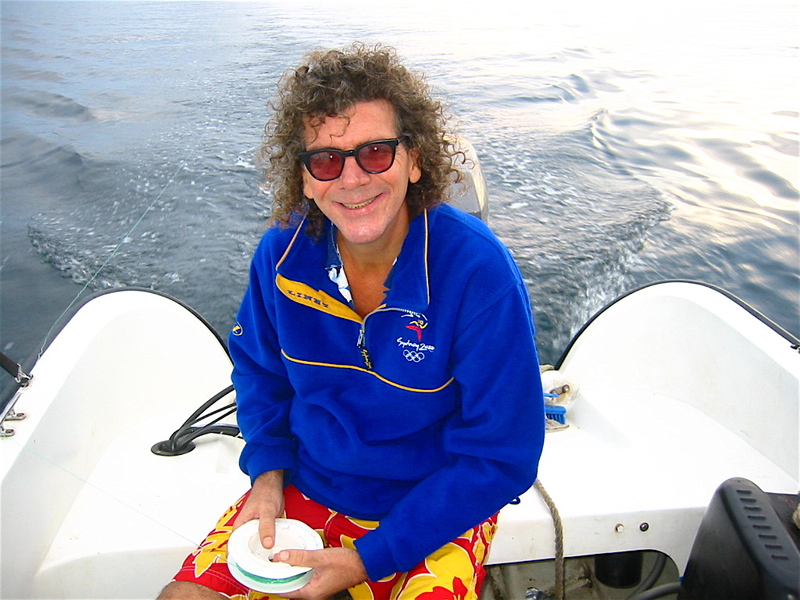 Mitchell Hedges anchored the Amigo 150 miles off the coast of a small key and headed into the mainland on the Amigos extra boat. He returned several hours later with some lumber from which the expedition made three new chests for their treasure and dumped the old crusty ones into the sea. They then headed back inland and booked passage on a steamer that was headed for New York, their treasure safely stored in the cargo hold of the ship with the label Maya artifacts across the sides. When the three explorers arrived in New York, Mitchell Hedges sold off his lost treasure for the sum of $6,000,000 US. Bottom line, if you find treasure on the island of Roatan or Utila, you are going to feel like a pirate for the very first time, because I guarantee that you will re-bury the bounty until you figure out what you are going to do. Considering the legal and tax consequences, finding treasure is not what it seems to be and there are many hoops to go through to legally be able to claim the prize. Some people may decide to leave it buried and make a map, always knowing that it will be there if they need it (minus the paranoia if someone else has found it). However, no amount of treasure is worth losing your liberty and I would recommend consulting an attorney immediately if you find a trove and decide that you want to go through the steps to get a portion of the bounty. Also remember, that money has made good people do incredibly stupid things. Sometimes, the lust of gold is better left within the cold depths of the sea or dirt. But, ironically, now you know what it felt like to be a pirate…they had their stock in gold, but were always cash poor when the loot was buried in the ground. Stolen money seems to be cursed even if found and most of it is taken back in the end! Categories: buried treasure on roatan, find treasure law, henry morgan, Things to Do in Roatan, Things to do in Utila, treasure trove | Tags: find treasure laws, henry morgan, Roatan, roatan booty, roatan treasure map, Things to do in Roatan, treasure trove, utila, what to do if you find buried treasure | Permalink. So I keep hearing Will Smith’s “I’m going to Miami” song in my head – except I’m replacing Miami with Utila! I had only heard of Utilia a few days before I left Roatan when our Land’s End Manager Adi mentioned the island. Utila is one of the Bay Islands a couple of hours away from Roatan and a scuba diving haven. To get to Utila, you either have to fly to Honduras and then take a ferry or a small plane to Utila (the plane ride is around $225 per person) OR you can visit Roatan and take a boat ride for a couple hours and reach the mysterious island. So what goes on in Utila. Check out this video! So after watching this AWESOME video, I decided to blog about the topics and proffer research about the party island of Utila as my curiosity is sparked to the highest level! ♫ No Matter what they say, be careful on Tequila Tuesday ♫ the video warns. The Tranquila Bar is responsible for Tequila Tuesday where shots of Tequila are .50 cents! 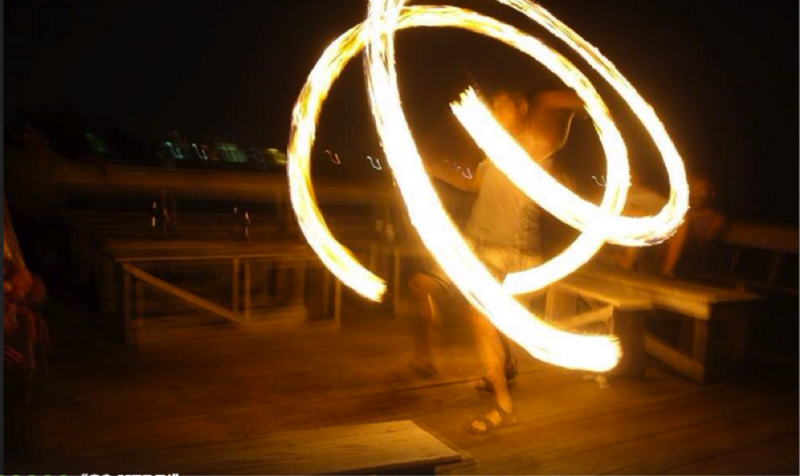 With blazing fire torch shows and a relaxed pier overlooking the ocean, it is no wonder why Tequila Tuesday is so dangerous. For a measly $10, you could have consumed twenty shots of Tequila! ♫ If you got something wrong go to Dr. John, he’s a doctor with no t-shirt on, he’s got short sight, he’s out all night but Dr. John will make you right! ♫ So the million dollar question is: is Dr. John real? The answer is: YES! Dr. John is played by himself in the video and you’ve already met him! Dr. John started the Utila Community Clinic and despite Dr. John’s eccentric ways, he has been praised from sources to be a very good doctor and the island is lucky to have him. Officially, Dr. John is Dr. John McVay, a USA Citizen, who is licensed to practice medicine in Ohio and Florida. His clinic is open 5 days a week, but Dr. John is effectively on call 24 x 7. The Clinic sees about 10-15 patients per day with everything from emergency/trauma to diabetic/hypertension maintenance. The Clinic is run on a not-for-profit basis, serving a local island community of some 2,500 people plus an itinerant tourist population. It’s $US 8.00 for an initial consultation and $US 5.00 for follow-up. Wow. If only Dr. John was in the states – $14 bucks doesn’t even come my insurance deductible! An anonymous source states: “Dr. John’s ear drops have saved me from imminent ear infections.” As my father is in the medical field, I can honestly attribute that knowing a doctor is on the island and available on call 24-7 is reassuring and a huge commitment. So thank you Dr. John! 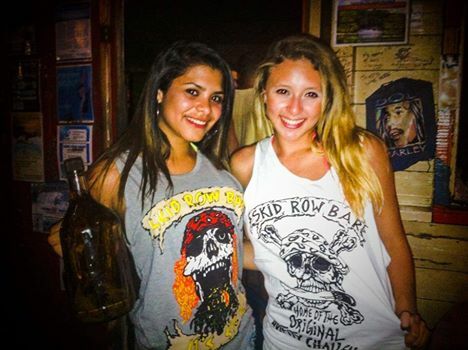 ♫ Want a Skid Row T-Shirt, Can’t Buy that in Shop, if you want a Skid Row T-shirt, you have to do shots! ♫ What?! You can’t buy a T-shirt without taking shots?! This jingle has truth, but for $9.95, you can buy a t-shirt and skip the Guifity – if you want a T-shirt for free, you must participate in the Guifity T-Shirt Challenge! 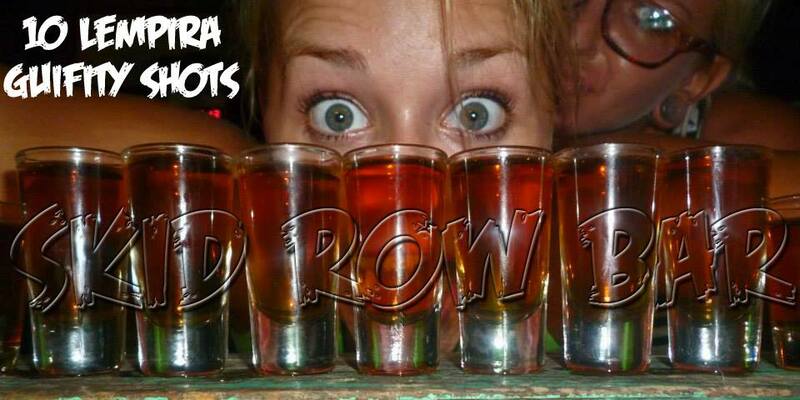 According to Jessica Johnson, to obtain a free t-shirt, you must down four shots of Guifity. In Jessica’s case, she had to down four shots in under two minutes, but she asked if there was a time limit before she started drinking. Of course, the bartender said yes. Oops. However, according to Skid Row’s Facebook page, one shot of Guifity is 10 Lempira’s. 1 Lempira is equivalent to $.50 cents so for 4 shots, the T-shirt is equivalent to $2.00. So yes, if you pay for the $9.95 for the T-Shirt, you are technically getting ripped off. But what is Guifity? 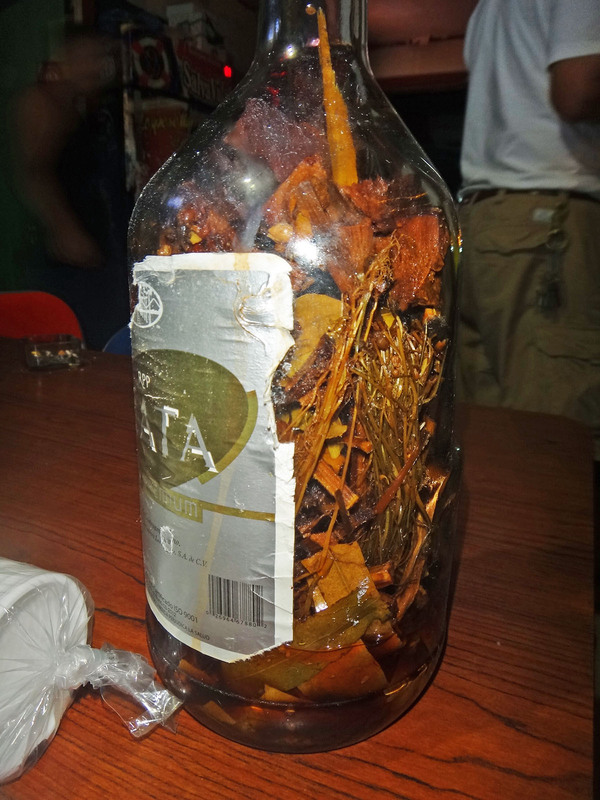 Guifity is made with a rum and 20 herbs (one of which may include marijuana) and is fermented for three weeks. An anonymous source state: “During our two weeks on the Bay Island of Utila, we were able to closely study the effects of Guifity on young European tourists, and although we cannot speak to the aphrodisiac effects, we can attest to its ability to enhance, impair, and otherwise debilitate and based on our observations recommend that no one in a normal state of mind should take four shots in a row.” I think I am going to have to be the sucker who buys the T-Shirt for $9.95! This seems to be somewhat a validated fact. A source named Heather States: “Utila is a world within a world. It’s very hard to describe without actually going but I highly recommend it. The easiest way to describe it are the three lies of Utila.1. I love you, 2. I’m not drinking tonight, 3. I’m leaving on the morning ferry. Everyone hits one or two of them, most people hit all three. It’s a place that’s hard to leave and drags you into the lifestyle very quickly. Hard to resist a hammock on the dock all day watching the sun set and then partying until it rises again. Visit if you get the chance.” Hmmm….. So to follow-up, it appears as if this video was very accurate in its truths. On a side note, from my investigative reporting skills, I wanted to follow up with a few other sources to give readers a better view of Utila. Diving, Diving, Diving. There are 12 diving centers and from sources, the centers compete for all the business on the island and can be clicky. However, from a tourists point of view, you will see some of the most beautiful waters on a scuba adventure. Most people come to the island to dive and even the party crowd dives during the day and parties at night. 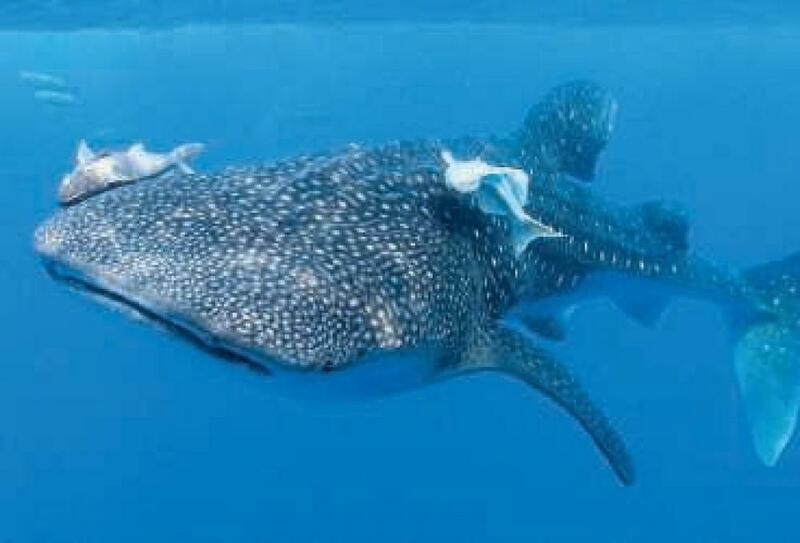 However, as a tourist, you will get the cheapest dive packages at Utila. The water is very clear and the temperature of the water makes it even more sublime. 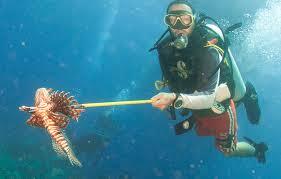 And yes, you can spear lionfish. Utila Accomodations. In addition, Utila has something for every budget. If you are on a low budget, you can stay at the Blueberry Hill for $5.30 per night or go upscale at The Gardens at $55 per night, which includes free wifi. If you want a luxurious rental with two bedroom and a private, hand-laid glass mosaic swimming pool with 4 fountains and a waterfall, Utila has it, starting at $150 per night. Upscale houses can be rented for as little as $2,000 per week depending on what is needed for your stay. The residents are very friendly and more then willing to help you find the perfect spot! After I receive permission, I will post a few contacts where if you are coming to Utila, you will be able to contact some of the locals who make Utila the wonderful place it is to be! A lot of your lodging and resorts are owned by Utila locals and getting to talk to them and get insight about the things to do on Utila is almost priceless, especially if you are a traveling to Utila for the first time! Going on vacation and already meeting friends is the way that Utilians like it and will also help you get the most out of your stay on Utila with good recommendations based on your needs! 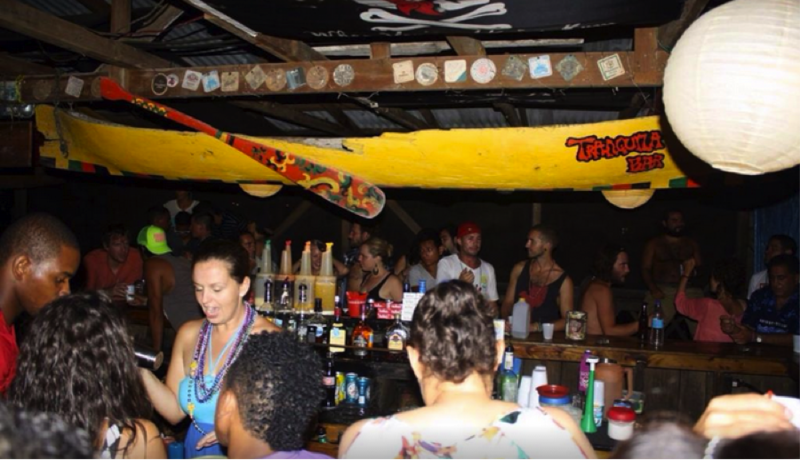 Categories: How to Get to Utila, Skid Row, Tequila Tuesday, Things to Do in Roatan, Things to do in Utila, Utila, Utila Diving | Permalink. I had the pleasure of visiting the tiny bay island of Roatan for the first time on August 23, 2014 and figured that I would start a blog as I do intend to be back. My stay lasted for a week and the wealth of information I learned about the third-world country travel destination hot spot was incredulous. Before I visited Roatan, I spent a few hours googling and never really found what I was looking for. Call me a modern day traveler, but I love to research where I travel and get an idea of what I would like to do or see so I don’t waste any time on my precious vacation days. With the airport being what it is, I consider two days devoted to traveling. I always assume that the Internet and phone service won’t be an option and even if it was, I want to perform my due diligence googling before I arrive – not after! So this blog is devoted to those like me who want to have the best trip in Roatan possible and don’t want to waste a precious second upon arrival or book the wrong hotel in the wrong place that can make any vacation an automatic bust. I will provide a brief general outline of the topics I plan to cover and hyperlink for the readers who want to know more about a particular subject. So, let’s get the nitty gritty – what is there to do in Roatan? Is Roatan worth visiting? How long should I stay? Is Roatan dangerous? Where is the best place to stay? What should I bring? What should I expect? How are the Roatan locals? These are just a few of the topics I will discuss more in depth, but I wanted to provide a small explanation in general. First all, I stayed at Land’s End located in West End and it was dreamy :). For first time Roatan visitors, there are only two places that you would want to stay: West End and West Bay. Both are side by side of each other, but not walking distance (around fifteen minutes apart) depending on how you travel. I will go more in depth about the differences in a separate post, but essentially if you traveling to Roatan, you are going to go one or two areas. Outside of the two areas, you begin to travel to the unknown. Which brings about the question: Is Roatan safe? In my opinion: the answer is yes, Roatan is a safe BUT it is still a third world country. I don’t care where you live, there are always “those areas” that should be avoided. In Roatan, it is no different except for the fact that you don’t have the typical order of a first world country (although the same rules still apply). You have to remember you are in a third world country. And just to clarify, there are only two first world countries: the USA and the UK plus allies. Second world countries include large countries such as Russia. As a third world country, Roatan has not had major investor contributions which has kept the country at what it truly is. The possibilities of freedom echo the entire island depths. Although this may come as surprising, the freedom of the country radiates a very peaceful aura that attracts many visitors and small business owners alike. Picking the right location to stay when visiting Roatan is essential. But this is no different when traveling anywhere – how many times have I booked a hotel that looked awesome but wasn’t in the right area? Too many to tell. But alas, if I did not have a fun experience – I rarely ever visited the same country or place for that matter again. Heck, going on a vacation costs – you want to enjoy it before you go back or go somewhere new (my motto anyways)! My hope is that this blog can help prevent hit or misses in that regard. As we have already established, you are only going to stay in West End or West Bay – picking between the two locations all boils down to what you want out of your experience in Roatan. In short, if you are looking for the typical luxury amenities and don’t plan on leaving the resort that you book, West Bay is better. Most all of the West Bay resorts have beach access and at least one restaurant where you can enjoy meals. 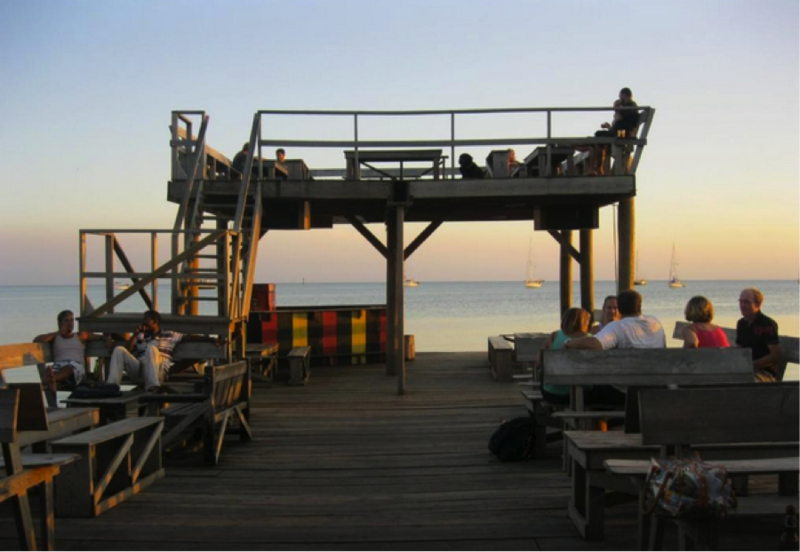 If you want to travel or go outside the resort, you will have to venture down to West End – West End has the shops, restaurants, and bars, and fun Roatan night life. In truth, West End is a boardwalk like Ocean City, Maryland. In West End, there is over fifty establishments on one main street where you can find anything from a new dress to Argentina cuisine or a fun pub. It would take you over a month to visit all the unique spectacles on the West End, Roatan Boardwalk Street (FYI – there are no street addresses in Roatan – so this street is not named, but I am going to call it West End, Roatan Boardwalk Street). So on West End, Roatan Boardwalk Street- the restaurants and entertainment are somewhat endless. West Bay is more of your Parkplace in Monopoly terms. The amenities in West Bay vary per resort but the major difference between the two areas is entertainment: West Bay = Limited to the Resorts whereas West End = everything. If you were asking me whether West End, Roatan was better than West Bay, Roatan – I would tell you that you must evaluate what you want out of your experience. Roatan became marked on the tourist map because of its great diving locations – I can honestly say that there are fifty dive shops between West End and West Bay so you won’t have a problem finding one. 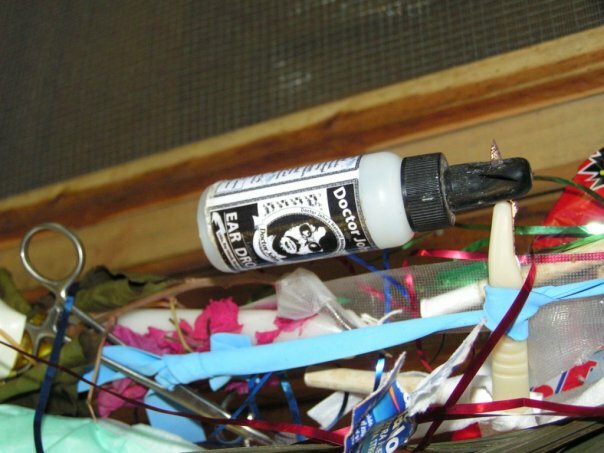 With the high supply, no matter where you decide you want to dive, there is enough demand to where you can get the best deal. Sandy Bay has the best diving spots and would be worth staying at if your sole purpose was diving. If you choose that route, hands down, I would recommend Tranquil Seas. Tranquil Seas is an eco lodge with amenities that surpass the entire island (in my opinion) from the founder’s dedication to the eco-system. But in truth, these little things matter greatly when it pertains to things that can be taken for granted (like hot water) – located in Sandy Bay – it is a diver’s paradise. 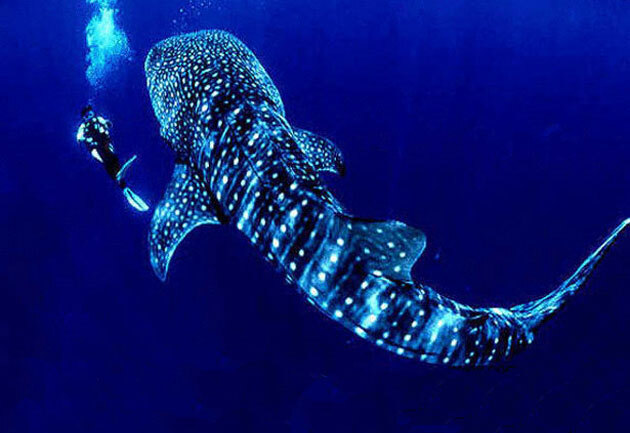 If your sole purpose is to dive and maybe go out one or two nights of your stay, go there. Nothing will compare. If you come to the island and want to do more than just diving, stay at Land’s End. Period. But as stated, it all depends on you. If you were on a honeymoon and just wanted romantic time with you and your newly-wed, I would recommend perhaps different. I created a little survey that if you would like to fill out, I would be more than happy to give you my recommendations because just as Roatan is unique – the right place for you would have to be catered around you. I did visit multiple resorts and do feel that I have a somewhat good feel for people who are interested. Plus, I can send it along to some of the friends on the island who are always more than willing to offer suggestions and find the right place – everyone is just so chill and cool! Click the link to fill out my form for suggestions! Well, I am going to stop for now. Being the dork I am, I brought a notebook with me of great topics and want to cover them all. I hope for the first post this has been informative enough for scratching the surface – much more to come! Categories: Things to Do in Roatan | Tags: Roatan, Roatan Beach, Roatan Life, Things to do in Roatan | Permalink.